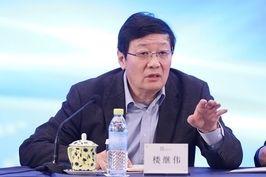 Former finance minister and prominent reform advocate Lou Jiwei, 68, (楼继伟) retired from his post heading China’s 2 trillion yuan ($297 billion) central social security fund, Caixin learned this week. 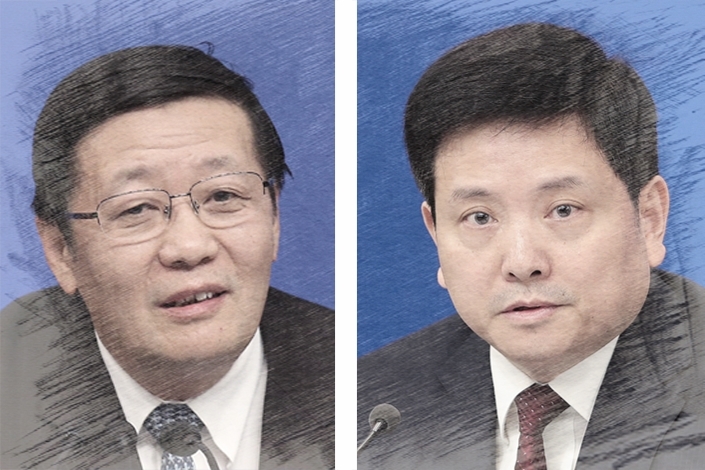 He’ll be replaced by Liu Wei (刘伟), a vice minister of finance. • Lou served as finance minister from 2013 to 2016 before becoming head of the National Council for Social Security Fund, the body which manages the central fund. As China’s population ages, strained provincial funds are increasingly reliant on central government subsidies to stay in the black. • Liu, a decade younger than Lou, started his government career in the southwestern municipality of Chongqing. He’s a relatively junior pick for the position — previous chiefs of the council have included a former central bank governor and several ex-finance ministers. • It’s a big job. By one estimate more than 255 million Chinese will be aged 60 or older by 2020. Debt-ridden HNA Group has let go of Tong Fu (童甫), also known as Eric Tong, director and head of the company’s technology unit. Aged just 36, Tong had been the youngest member of the board. 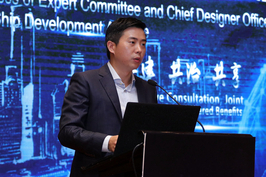 He was replaced as director by He Jiafu (何家福), who heads HNA’s logistics unit, and as head of tech by Li Weijian (李维艰). Wang Donghui (王东辉) has also stepped down from his position on the board of supervisors, leaving just two members remaining. HNA, which began as an airline operator based on the tropical island of Hainan in South China, is selling off assets to repay the massive debts accrued during an overseas buying binge. Meng Hongwei (孟宏伟), former president of Interpol, has been expelled from the Communist Party and stripped of his administrative positions for corruption and “squandering national assets.” Meng’s wife reported him missing in October. Disgraced former internet czar Lu Wei (鲁炜) was sentenced to 14 years in prison and fined 3 million yuan for accepting 32 million yuan in bribes. Lu was China’s deputy publicity minister from 2014 to 2017 and chief of the Cyberspace Administration of China from 2013 to 2016. Most of the bribes have since been recovered, said the official Xinhua News Agency. 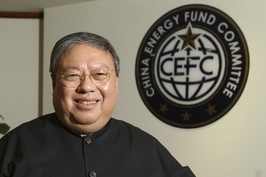 Patrick Ho (何志平), a former Hong Kong official, was sentenced by a U.S. court to three years in prison and fined $400,000 for bribing officials from Chad and Uganda on behalf of CEFC China Energy Co. Ltd., a scandal-ridden Chinese energy conglomerate.